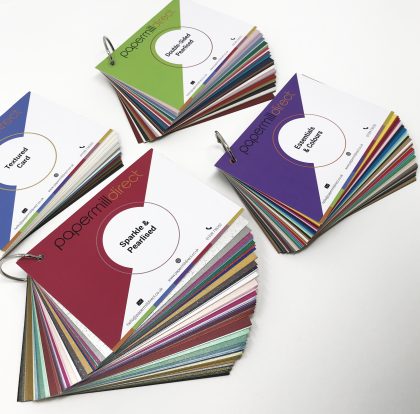 Our range of ivory printer paper comes available in reams of 250 or 500 sheets and is perfect for more professional paperwork. For a more decadent and unique appearance in your administrative work, or for formal letters to clients as well as wedding invitations, ivory printer paper is ideal. 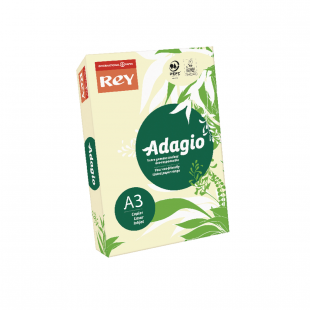 Manufactured by Rey Adagio, you can be rest assured of this range’s eco-friendliness due to extraction from sustainable forests. These reams of ivory printer paper also meet the high standards of the PEFC™, FSC®, EU Ecolabel and conform to ISO 9706. 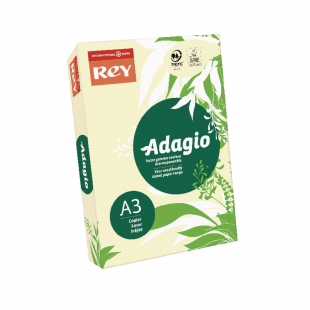 In addition to being ideal for wedding invitations, the ivory printer paper reams stocked by Papermilldirect have a smooth finish and are compatible with both inkjet and laser printers, making them well-suited for the creation of menus, posters, brochures and other promotional materials. You will also benefit from the ability to print double sided using our ivory printer paper. If you are looking to use our reams of ivory printer paper for the creation of wedding invitations, why not take a look at our extensive range of craft envelopes to complement your purchase. 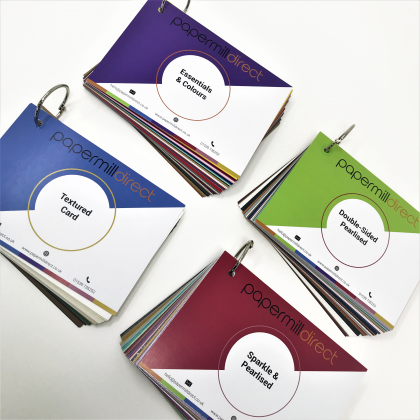 We recommend the pearlescent ivory C5 peel and seal envelope or the ivory luxury square envelopes which perfectly match the tone of the ivory printer paper within this range. For further information regarding our range of ivory printer paper, please get in touch with us by phone on 01539 735 252 or by filling out and submitting your enquiry using our online contact form. For those who require a large quantity of ivory printer paper, you will be able to benefit from our FREE delivery on orders over £60. You may also like to take a look at our wide array of craft supplies to assist you with your crafting requirements. See our wedding invitation stamps, storage boxes, adhesives and much more from Papermilldirect.